The Oliva Serie V is a ligero-lovers dream cigar! With its rich colors, beautiful oily wrapper and impeccable construction it comes together in great harmony. Created by Oliva Cigar Company (no relation to Oliva Tobacco Co.) is headquartered in Miami, Florida and rolls their cigars in Nicaragua. The company has slowly acquired its place on the map in the cigar industry through their persistence, patience, drive, passion and always putting out a quality product. The Oliva name, with all its lines, has risen to the forefront in cigar production. The Oliva Serie V Liga is a complex blend of Nicaraguan long-filler tobaccos blended with specially fermented Jalapa Valley ligero and finished with a high priming Habano sun-grown wrapper. Because the Olivas are not known for their power, but more for their flavor, Oliva Cigar Co. decided to please the more seasoned cigar smokers who demanded a more muscular cigar with the Oliva Serie V line. The Oliva Serie V is not only attractive aesthetically with its 4-seam cap, but it is full of diverse and dynamic flavors from coffee, chocolate, wood, nuts and sweet cedar that all frame a substantial leather core. A subtle yet well-balanced spice is present throughout. With the rich and long finish its complexity shines through. The Oliva Serie V Liga is blended to deliver a fuller bodied taste yet it maintains an unparalleled smoothness. Its wrapper a bit toothy with some faint veins and billowy, thick, white smoke, the Oliva Serie V will make you appreciate Nicaraguan cigars on a deeper level. Oliva Serie V has been named as Cigar Aficionado's Top 25 Cigars of the Year for several of its blends in the past decade, including winning the #22 spot for Top 25 Cigars of the Year for its Oliva Serie V Double Robusto blend (rated 92) in 2011! The Oliva Serie V Liga Especial is very reasonably priced, as are the other 8 vitolas in this line (Belicoso, Churchill Extra, Double Robusto, Double Robusto Tubos, Double Toro, Lancero, Special V Figurado, Toro Maduro 2011 and Torpedo), which makes this cigar not only a top-ranker for Cigar Aficionado, but in our book as well! RATED 94 BY CIGAR AFICIONADO AND VOTED THE #22 TOP 25 BEST CIGARS OF 2011! The Oliva Serie V line is available online here at MyDiscountCigar.com. To learn more about the Oliva Serie V series and the other Oliva lines please visit OlivaCigar.com. Skip the fluff and jump straight to the review! All sizes come in dark lacquered cedar boxes of 24, packaged naked with no cellophane sleeves. The Lancero is the exception packaged in boxes of 36. Although I have not seen one, Cigar Insider states the Serie V also comes in a culebra size available exclusively at special events. The Oliva Family has been growing tobacco for a little over 120 years. Melanio Oliva first grew tobacco in Pinar Del Rio, Cuba beginning in 1886. His growing operations were suspended while he fought in Cuba’s War of Independence. On his return, Melanio resumed his operations and in the early 1920’s his son Hipolito took over. Hipolito cultivated the Oliva family fields for several decades but as Cuba became over-run by communists, the tobacco landscape changed. Hipolito’s son, Gilberto Sr., was born literally across the street from Cuba’s Hoyo de Monterrey factory and following in his fathers footsteps, that is where he first worked in Cuba’s tobacco industry. When Gilberto, Sr. took over the family’s business he shifted from growing to brokering tobacco. In the early 1960’s the pressure in Cuba became unbearable and Gilberto, Sr. left in search of growing conditions that would produce that distinct Cuban taste. His travels took him to Honduras, Panama, Mexico and even the Philippines before he finally found his desired fertile ground in Nicaragua and today the Oliva Family is Nicaragua’s second largest grower of Cuban-seed tobacco. In 1984 Gilberto, Sr. decided it was time to expand into cigar making for other brands and in 1994 began to produce the first Oliva Family cigar line. After success with their frontmarks in the USA, last year the Oliva’s began selling their cigars in Europe and today Oliva lines are enjoyed around the world. Business is booming! Management of Oliva Cigar Company activities is still very much a family affair with Gilberto Sr. overseeing growing, curing, and fermenting operations and Gilberto, Jr. deeply entrenched in blending. Cigar rolling falls under the direction of Carlos. Jeannie and Jose manage marketing, customer relations and distribution operations from the Miami office. The Oliva’s have been listening to their customers asking, “Where’s the beef? Love the quality of your cigars but we need more power!” Finally their answer is ready. With a soft-release in June 2007 and official release at the 2007 RTDA the buzz on the Serie V has been high volume. Vice President of Operations, Jose Oliva describes development of the Serie V blend as the most challenging undertaking the company has ever embarked upon. In his opinion, a cigar smoker should feel the strength of a cigar in the stomach and head, not in the throat. Striking the right balance of potency with ultimate smoothness was the goal. With all of the tobacco for the Serie V grown on Oliva Family Farms in Nicaragua it is the strongest cigar they have released to-date. With maximum production anticipated at 750K per year due to limited availability of tobaccos, they will be quickly be at that level and following a Cigar Aficionado rating of 94, it will be a challenge to stay up with demand. I can see the price on these puppies going through the roof. Cigar.com claims, in order to be an authorized Serie V dealer, tobacconists must undergo special training from Oliva representatives aimed at providing insight to the sheer power of the blend. The Oliva Serie V Torpedo cigar only contains ligero leaf (the strongest variety of tobacco), but is blended so the initial taste doesn’t overwhelm the enthusiast with in your face power. In other words, the Oliva Serie V Torpedo is very strong but can still be enjoyed by individuals who prefer medium bodied cigars. Upon lighting, many may believe the Serie V is medium in body, but as Jose Oliva himself has explained, if you exhale through the nose you will realize the true strength of the Oliva Serie V Torpedo. Cigar Aficionado ranks the Oliva Serie V Torpedo as #4 on the list of the top 25 smokes of 2007. Impressive! Serie V is a complex blend of Nicaraguan long filler tobaccos. Blended with specially fermented Jalapa Valley ligero, and finished with a high priming Habano Sun Grown Wrapper (high priming being closer to the top of the tobacco plant and therefore soaking up more sun). It is blended to deliver full body taste while maintaining an unparalleled smoothness. This flavorful blend exhibits complex tobacco with rich coffee and dark chocolate tones. A subtle and well balanced spice is present throughout. Bottom line up front ….. Although not the powerhouse I was expecting, the Oliva Serie V Torpedo is a beauty to behold and a premium quality full flavored smoke with balance and finesse sure to become a favorite for many cigar smokers. Definitely the richest and strongest Oliva Family cigar on the market today! My only concern is if the Oliva’s can keep up with demand and thereby maintain the reasonable price-point. As of this writing they are very hard to find in-stock. The Oliva Serie V Torpedo sports a silky smooth Colorado maduro wrapper with no veins to speak of and a small tooth evident over its length. The chubby torpedo is a very solid, tightly packed 56 ring with the conical cap packed too tight IMO. Handsome to look at, the stick feels very nice in the hand. Scent from the wrap is very mild tobacco except toward the foot where there was a slight touch of barnyard. A good whiff of the foot tingled the olfactory and caused a tobacco sneeze. The bunching at the foot shows a healthy amount of dark ligero as advertised (about now the drooling has begun!). One of the three cigars smoked for this review had a lengthwise crack in the wrap about one and one half inches long located about a half inch from the foot. It caused no burn problems but was unsightly and worrisome. Not sure the stick was properly cared for prior to coming into my possession. This always concerns me when a review is in the offing. I would rather smoke the best sticks and offer a review on the merits. That is part of the reason I smoked three Serie V cigars prior to writing the review. The other part is I just love smoking cigars and probably would have smoked five if they were around. The clip took some hand strength as I had anticipated. On the first stick I removed about a half inch (half of the torpedo cone) and the draw was very tight. Flavor in the pre-light draw was interesting with a light sweet grass and nuts on the palate. After lighting, the first few pulls on the draw were still too much work so I clipped a bit more (toward the cap end just below the shoulder of the cone) and the draw opened up to perfect. Don’t be shy when clipping this one and you will be rewarded with a fine draw. Remove most of the torpedo cone. The aroma from the toasting foot is exquisite. Due to the amount of ligero in this Oliva Serie V Torpedo cigar, the lighting takes a little more effort. Toast the foot really well before beginning to pull for the light. Initial pulls were very smooth and creamy. So much so I found myself thinking, where’s the bang associated with ligero. No worries. It was coming. I just had to exhibit a little patience. Like the pre-light draw, initial flavors were of sweet grass and nuts with a little pepper on the tongue. About a quarter inch in the ligero twang on the nose arrived in force. At the one inch mark the blend smoothes out to a base of creamy toasted hardwood and earthy leather with slightly sweet notes of vanilla/caramel with some spicy nuances. Over the first 2 thirds the flavor is consistent and then builds in intensity with the entrance of some cocoa and espresso flavors. The finish starts crisply short but builds over the length of the cigar to a long one with distinct flavors of dark, unsweetened chocolate and black coffee. The ash is light gray and very smooth. Stack of quarters effect is barely visible. It held for me to about two and a half inches and took several solid taps before it fell. Interestingly, the ash is the same color for the wrap and the filler indicating well fermented tobaccos. The burn is slow and cool with a few bumps developing in the burn line but no torch corrections necessary. The Oliva Serie V Torpedo cigar is a dream for smoke rings as the volume of smoke is incredible. In addition to the wrapper anomaly discussed above, I had other wrapper splits and unraveling in all three cigars for this review. Amazing to me, none of the problems caused the burn to waver but they did detract a bit from the smoking experience. I’m not sure this isn’t a phenomena typical to habano wrappers in general. I’ve had several treat me this way. Just a very sensitive and fragile wrapper leaf. I find Oliva Family cigars are generally mild to medium and a little less potent than I prefer. Although the Oliva Serie V Torpedo is most definitely stronger, it was not the monster I was expecting with all the hype and the “Ligero Especial” moniker. I would call it medium to full bodied but for $5, a fine flavorful smoke. I enjoyed it very much. The $5 price tag must have carried allot of weight in CI 94 rating which was a little high IMHO. Most definitely a quality smoke for the price and I can see it becoming very popular in regular rotations if the Oliva’s production can match demand. It will be interesting to see how that plays out. MSRP is $6.75 per stick. The Oliva Serie V Torpedo is a fine cigar and with the high CA/CI rating don’t hesitate to pull the trigger if you find them available. I had an online vendor call me and say “We don’t know how your order for these snuck through since we are currently out-of-stock. You must have pressed the submit button just before we updated the website.” @*&#*^^^!%@$$#!! Thank you Lucky7 for taking your time to write such an excellent review of the Oliva Serie V Torpedo! Oh, this cigar gets us very excited! Cigar Aficionado has named the 92-rated Dunhill Signed Range Toro the #19 Top Cigar of 2011 (and the #10 cigar of the year in 2007), and rightfully so! At the risk of sounding biased, the Dunhill Signed Range is by far one of our favorite cigars and it is certainly a very difficult cigar to acquire any information on and sometimes equally hard to purchase. We are fortunate enough to carry 3 of the sizes (it comes in at least 6 sizes total when you can find it): Robusto (4 1/2 x 52), Toro (6 x 50) and the Torpedo (5 1/2 x 52T). British American Tobacco selected Carlos Torano to take over the production of the Dominican Dunhill Signed Range line and have also launched the newest line of Dunhills, the Nicaraguan Signed Range, which filled the demand for a more fuller-bodied cigar. The Dunhill Nicaraguan Signed Range line was introduced in 2007. We can't stress enough how creamy, smooth and flavor-packed the Dunhill Signed Range is! Handmade in Nicaragua under the close supervision of the Torano family the Dunhill Signed Range cigars feature Nicaraguan wrappers, Cameroon binders, and aged Nicaraguan and Dominican filler leaves for a medium to full-bodied creamy smoke bursting with nutty, coffee, dark chocolate, cedar, caramel and slight peppery notes! Besides the incredible smoothness and most delicious flavor profile of the Dunhill Signed Range, what makes it doubly enticing, especially for collectors, is that each box is individually numbered and features the signatures of the inspectors as well as some of the rollers responsible for that unique batch. The Dunhill Signed Range cigars are definitely not given enough credit or attention and we hope that you take our word for how very special, tasty, and unique these cigars truly are and splurge for a box (if not a full box, then at least try the 5-cigar sampler) of this treasure! RATED 92 BY CIGAR AFICIONADO AND NAMED THE #19 TOP CIGAR OF 2011! 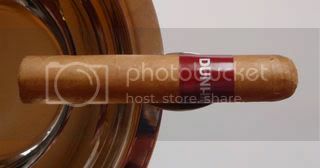 The Dunhill Signed Range is available for purchase online at MyDiscountCigar.com. Another switcharoo done to me is the Dunhill Signed Range Short Robusto Dominican for the Dunhill Signed Range Nicaraguan. This time I can't complain because not only was this cigar more expensive (being discontinued), but it also tasted fantastic. The Dunhill Signed Range cigar line was released first in Great Britain in 2001 then released in the U.S. in 2002. Originally the cigars were manufactured at the Cuevas and Torano factory in Navarette, Dominican Republic. The Dunhill Signed Range cigars were created to cater to the popularity of more fuller bodied cigars compared to the mild blend found in their Dunhill Aged cigars. The tobacco used in the Dominican produced Signed Range is a Connecticut seed Ecuadorean wrapper, Pennsylvania broadleaf seed binder, and a Columbian and Dominican filler. In 2007, production was moved to Nicaragua and the Torano factory based in Esteli. The manufacturer states that this was a "quest to find the best super premium cigar blend". The Nicaraguan Signed Range contains a Cuban seed Nicaraguan wrapper, African cameroon binder, and Nicaraguan and Dominican long filler tobaccos. If you buy a box of these Dunhill Signed Range cigars you will notice that they are numbered and feature the signatures of the people responsible for creating the cigars. The torcedor (cigar roller), escogedor (sorter), empacador (packer) and the ultimo control de calidad (quality supervisor) all hand sign each box they are responsible for. The band on my Dunhill Signed Range cigar gives away the fact that these were produced in the Dominican Republic. In fact, the toro sized Signed Range Nicaraguan that I ordered at the same time shows the correct label. The Dominican band has a more modern simplistic look compared to the Nicaraguan which has the "Dunhill" name in cursive with "since 1907" underneath it. The Dunhill Signed Range cigar was well constructed. The wrapping was nice and tight and held on during the entire smoke. The wrapper color I would describe as a smooth "paper bag" brown with some small veins through out. The cigar felt firm and nicely packed. The pre-light draw was free and felt perfect with a very slight minimal resistance. The flavor on the pre-light draw was a creamy sweet tea. The wrapper itself smelled like sweet earthy tobacco and the foot like sweet black tea. The cap was nicely formed with two seams and cut easily with a Palio cutter. You get a nice volume of smoke with each draw. Immediately you taste nice toasted wood flavors with a slight bitter tinge and warm spices in the background. The flavor starts off mild but tastes very balanced and smooth. You also get a little whisper of cream and vanilla. The burn starts off a little lopsided but nothing too drastic. The burn line is nice and sharp and the ash formed is very compact and light gray in color. Eventually, you taste a more cinnamon on the finish. The mildness makes this cigar seem like an ideal smoke for your morning coffee. The smoke leaves a nice trace of sweetness in the mouth. The resting smoke is very pleasant and exudes warm spiced tobacco. At the one inch point, the Dunhill Signed Range cigar develops more creaminess like roasted nuts and spice. Plus the flavors become more pronounced and tastier. In the second third, the flavors remain smooth and you get the same toasty wood and spices plus a much longer finish of cedar and light leather along with nuts and vanilla. There is definitely nice complexity in this cigar. At this point the Dunhill Signed Range cigar is solidly medium but beginning to develop into the full range. Still no bitterness or harshness. The flavor is deep and rich at the two inch sweet spot with a nice caramelized vanilla sugar residual finish. The final third displays an interesting pronounced cedar and leather body which just dominates the palate. I also notice more clove spice which is really nice and some pepper. The back of my throat can feel a little heat as if someone sprinkled pepper on my cigar behind my back. The Dunhill Signed Range cigar is in the full range in the last third. The flavors stay smooth and the finish is now marathon long. It also stays surprisingly cool even though you are down to the nub. Even though this cigar is a bit pricey at $10.85 for a short robusto (4 and 1/2" by 52 ring gauge) for which I actually paid $9.75, I would consider buying the Dunhill Signed Range cigar again because of it's elegant flavors and complexity. I'm interested in tasting the Nicaraguan Dunhill Signed Range to see if it is better or just as complex. I mentioned that I also received the toro sized Signed Range which is Nicaraguan so I should be getting the opportunity to compare these cigars very soon. Thanks Lisa B. for your great review! It's a pleasure getting another woman's point of view! Most of you might assume that "Warlock" means a male version of a witch (and some of you younger folks might associate it with Charlie Sheen on one of his recent rants), but if you dig deeper, in "Old Norse" it actually means "caller of the spirits." Ranked as the #9 cigar of 2011 by Cigar Aficionado with a 92 rating for their Robusto size, the Warlock was released in 2010 by Altadis U.S.A. Inc. Specially crafted by hand in Nicaragua's Condega region by cigar-maker Omar Ortez, the super-premium Warlock cigar packs ample boldness and flavor. While the majority of cigar factories in Nicaragua are found in Esteli, the Warlock hails from the Condega region where the tobaccos are just the right balance, not as strong as the tobaccos of Esteli, yet not as creamy as those grown in the Jalapa region. Though it is not classified as a boutique cigar it is a bit of a stretch for Altadis U.S.A. the cigar giant, with its edgy overall appearance, outlaw name, gothic black font on the silver band, and housed in a rustic-looking wooden box. Image aside, the Warlock is a strong smoke from the first puff and is balanced with leathery, salty flavors, and earthy notes complemented by subtle spices. The leather aroma is not the old-shoe type of leather, but more of a smooth, buttery, soft leather coat. On the finish there is a woody tone reminiscent of white wine oak casks. It is a bit of a firmer cigar to the touch with a well-placed cap and just a few slight veins. You will get a consistent, even burn and an ash that will hold out to about 2". The oily, dark Ecuadorian Cuban-seed wrappers that envelop the Warlock cigar, combined with Dominican and Nicaraguan long-fillers and a rich Nicaraguan binder make this cigar a complex and robust powerhouse. Though the Warlock is powerful, it is in the same token quite refined. This cigar would be well-paired with a full-bodied cab or a fine Scotch. The medium to full-bodied Warlock cigar was created to be strong, and boy do they deliver! A definite treat for all the senses. RATED 92 BY CIGAR AFICIONADO AND THE #9 CIGAR OF 2011! The Warlock cigars are available for purchase online here at MyDiscountCigar.com. When one thinks of cigars by Altadis, the Warlock line is not your typical line. More often than not one will think of Montecristo or Romeo Y Julieta. There is nothing wrong with those lines, but the Warlock Robusto captures something a little more special. The great aspect of the Warlock Robusto line is that it has always captured those great qualities of a boutique brand while having the backing of a large cigar manufacturing company. When the cigar was initially released in 2010 it captured the eyes of smokers like myself, who is a boutique smoker, and it also caught the eyes of those who loved the lines Altadis had. Unfortunately, like most cigars after several months, I lost attention to newer products, but when the cigar recently got the Number 9 Ranking by Cigar Aficionado, I began to pay some more attention again. I am fortunate enough to be able to be in touch with Altadis, and when they offered me some samples to review, I was more than glad to try them out again and review them. The Warlock line is made in Nicaragua by Omar Ortez, and is made in their Nicaraguan factory called Agros Tobacos. Omar Ortez has worked with Altadis for many years now, and besides having his own line Omar Ortez Originals, he has worked on other blends of theirs as well, and is the sole creator behind the Warlock line. The Warlock Robusto cigar is made with tobacco of theirs that has been selected because of its rich and bold flavors, and is made from some of the best countries as well. The wrapper is Ecuadorian Cubano seed, and underneath that is a Nicaraguan binder. With a great binder and wrapper there lies a great filler blend composed of tobacco from the Dominican Republic and Nicaragua. I should note that all the tobacco from Nicaragua in this cigar is actually tobacco from the Condega region in Nicaragua. The region is known for producing very balanced and flavorful tobacco. It is not as flavorful and refined as tobacco from Jalapa,or as strong as that of tobacco in Esteli, but is a perfect balance between the two. The vitola I smoked was the robusto vitola, which was the smoke that recently received the very high ranking, and it measures 4 3/4" with a 54 ring gauge. The Warlock Robusto cigar is beautiful in hand, and has that dark coloring and fonts associated with the world surrounding a "warlock." It has a dark chocolate brown wrapper, Colorado Maduro, and it has some veins present here and there. It is a very firm cigar, and the cap is placed on perfectly. Feeling all the oils that are present in the wrapper I am getting wonderful aromas of barnyard, rich earth, leather and damp wood from the foot and wrapper of the cigar. As I cut the cigar the cold draw is great, and producing some great flavors with it. I am really looking forward to this smoke, and so I am lighting it up. From the get go the Warlock Robusto cigar shows those rich earth flavors that I got from the pre-light aroma. It is a very pleasant smoke that is producing a huge amount of smoke. As I get further into the first third I begin to pick up a lot more flavors, and some really unique qualities to it. There is a nice bit of salted wood, rich earth and leather, along with this caramel mocha finish. It's really an enjoyable smoke, and it reminds me of Cuban cigars that are very rich. Not that Cuban cigars aren't rich, but it is reminiscent in some ways of a Bolivar, Partagas, or even a Ramon Allones. It is just a lovely cigar that has great qualities. I would say the Warlock Robusto cigar is smoking at a solid medium for me, and it is leaving a solid ash that is charcoal gray in coloring. The cigar is burning incredibly even and slow. I feel that the oils from the wrapper are cooling off the heat so it burns slowly, it is very nice. As I get into the second third of the Warlock cigar, it is still showing those awesome flavors from the first third, and is staying at a solid medium in terms of strength. I am really digging the flavors that this cigar is giving off, and it is really a cigar that I find to be one of a kind. It captures two different flavor profiles while being one cigar. It's like drinking a Shiraz and Chardonnay at once, and having it be great. Those flavors of salted wood, caramel and leather you typically find in one cigar, and then the rich earth, mocha, and barnyard flavors you find in another. A very enjoyable cigar. The burn line is still perfect in the second third, and I am holding on to the ash from the first third. The coloring is still that of charcoal gray, and the cigar is producing tons of rich smoke. I am the final third of the Warlock Robusto cigar now, and this great experience is coming to a close. The cigar is still burning perfectly in this third, and leaving a beautiful ash and burn line, and the smoke is still very thick and aromatic. As I get close to the nub the cigar is still burning cool, and even when I get into the nub the cigar never got hot and was great all the way to the end. In terms of flavor the cigar stayed very same in the final third to what it was in the first two thirds, but it was so great I did not want it to change. Those unique flavors were very complex, and I am sure I have been something when trying to pick out the flavors. As I have been saying the combination of caramel, mocha, wood, salt, leather, rich earth, and barnyard have been phenomenal throughout, and I can see how this cigar kept on capturing the attention and palates of the Cigar Aficionado Tasting Panel. These Warlock Robusto cigars were so entertaining to smoke. I felt that they really captured these qualities that you typically find in a rich Cuban cigar, and that made them so great for me. They were always flavorful from beginning to end, and they performed very well as cigars. They were not powerful or soft, solid medium in body, but the flavors were damn great. I really love that Altadis is attempting to make some boutique smokes no matter the size of the company, and try and captivate those cigar snobs out there who love boutique smokes. I think they are taking some right steps in reaching out to a lot of smokers, and this is a prime example of that. This was a great cigar in that sense, and is a great cigar in general. I give the Warlock Robusto cigar a 92, and really look forward to smoking more of these down the road. I have smoked them before, but this is the first time that I really sat down and analyzed them, and because of that I picked up those wonderful qualities it had to offer. This is one of the best brands that Altadis makes, and it is also one of their brands that is in actuality boutique. Quite simply, a wonderful cigar by Omar Ortez and Altadis, and congratulation on the great ranking you all got in Cigar Aficionado Top 25 Cigars of 2011! Seth, thanks for yet another amazing and detailed review! Today we honor the legendary Excalibur blends by Hoyo de Monterrey. Hoyo de Monterrey has always been a consistent, well made, reasonably priced brand. We will highlight the flavor characters of each of the following blends: Excalibur Legend, Excalibur Dark Knight, the Excalibur Cameroon blend and Excalibur (as well as Excalibur Maduro). As one of the most well-known brands to come from Honduras it is only fitting that the Hoyo de Monterrey's Excalibur Legend would pay homage to this brand's pedigree with such a regal title and its rich flavors that just command such attention. The Excalibur Legend is blended with proprietary tobacco cultivated exclusively for the company on the remote volcanic island of Ometepe and combines it with a potent Dominican ligero tobacco. All the tobaccos used to make this blend give it a complex combination with a spicy and rich finish. General Cigar Company took the same wrapper for the Excalibur Legend that it used on the Excalibur Dark Knight blend, which should give you an idea of the boldness of your smoking experience. The Excalibur Legend is clearly designed to appeal to a more "seasoned" smoker who demands a full-flavored stogie. With its well-earned 91 rating by Cigar Insider (of Cigar Aficionado) they describe it with the following terms "This thick cigar is rich with leather from the the first puff, developing to show tea and toast flavors. A balanced smoke with a profoundly leathery core." We couldn't have said it better! So jump on the Excalibur Legend bandwagon and prepare for a smooth and intense ride. The Excalibur Dark Knight line, the cream of the Hoyo de Monterrey crop, is wrapped in a beautiful Cuban Havana seed wrapper, complex filler and binder, giving them a robust but exquisitely smooth taste. This line was originally part of the Excalibur 1066 line (phased out by the General Cigar Company in 2010), the Excalibur Dark Knight now has its own platform to highlight the incredible taste of its unique and rich wrapper. Even though with a name like "Dark Knight" it does not come with a bat logo, experienced cigar smokers will vouch that since its introduction in 2004 it does however pack a punch with its rich, dark and complex flavors and is housed in a stained dark wooden box that resembles a treasure chest. The Hoyo de Monterrey's Excalibur Dark Knight blend expertly balances a rich, full flavor with full body. The consistent and beautiful burn make this cigar a dream to smoke. The Excalibur Dark Knight has just the right draw and exudes hints of wood, leather and sweetness. Stick after stick the Excalibur Dark Knight will give you a very fulfilling smoking experience that makes it worth your money and your while. After Hoyo de Monterrey phased out the 1066 line in 2010, the Excalibur Cameroon line was introduced. The Excalibur Cameroon cigar is a full-bodied Honduran cigar that is highlighted by its rich Cameroon wrapper and its flavorful Connecticut Broadleaf binder. Its unique story is that the Excalibur Cameroon cigar was named "The People's Choice Cigar" because its blend was selected by cigar smokers who have a deep passion for cigars. The Cameroon series features a shiny Cameroon wrapper which enhances this collection with its uniquely spicy tone. The Excalibur Cameroon is a blend that combines Honduran, Nicaraguan and Dominican tobaccos. Its character is enhanced by a select Connecticut Broadleaf binder which is grown in the Connecticut River Valley. Because the tobaccos of the Excalibur Cameroon are cured over a lengthy period of time, the flavors become richer with some spicy overtones, pleasing the most discriminating smoker. With an 88 rating by Cigar Insider (of Cigar Aficionado), the Excalibur Cameroon is undoubtedly a well-made cigar with a great draw and burn, a well-placed cap, silky smooth and balanced smoke, and flavors that range from pepper, ginger, floral, toasty, buttery, creamy with some chalky and vanilla notes throughout. The Excalibur cigar is the perfect example of Honduran craftsmanship that combines a golden USA Connecticut Shade wrapper with a rich binder and filler, exuding a creamy aroma and a long finish. A superb cigar with great detail to construction, Hoyo de Monterrey's Excalibur is lighter in color than a Cuban cigar due to its fine Connecticut Shade wrapper and the excellent quality using the top 10% of the factory's tobacco from Nicaragua and Honduras. Once these fine cigars are rolled by master cigar makers in tradition that dates back to 1865, they are then carefully packaged in lovely Spanish cedar boxes to enhance their character and bouquet. The Excalibur is aged in cedar, is mild to medium-bodied and complex. Seasoned smokers favor the Excalibur cigar's complexity. This golden brown Excalibur cigar tantalizes the palate with toasty smoke and an array of flavors ranging from cedar, spice, earth, wood, nuts and slight sweet notes. It is mild to medium in body, but if you prefer a bolder and fuller flavor try the Excalibur Maduro blend with a Connecticut Broadleaf wrapper. The Excalibur Maduro is a dark and attractive cigar enveloped in an oily, and toothy Connecticut Broadleaf wrapper and a second layer of dark Connecticut Broadleaf for the binder. Not only did Cigar Insider (of Cigar Aficionado) rate the Excalibur Epicure Maduro as the #8 cigar of 2007 as "The 25 Best Cigars of the Year", Cigar Cyclopedia gave the collection an "A" rating as well. Excalibur, the cigar that was inspired by the legendary sword of King Arthur, strikes a perfect balance between the smooth flavors of its blonde wrapper and the straightforward taste of its rich filler tobaccos. With over 12 sizes and shapes to select from you have no excuse not to find one Excalibur to your liking. For the true test we suggest you try one of each of the Excalibur blends, starting with the Excalibur, followed by an Excalibur Cameroon, then sampling an Excalibur Legend and finishing off with an after-dinner smoke of an Excalibur Dark Knight blend. The Hoyo de Monterrey Excalibur blends are all available for purchase online at MyDiscountCigar.com. To read more about Hoyo de Monterrey's Excalibur blends please visit their official site at CigarWorld.com. The other day I was smoking an Illusione ~4/2g~ and a Ramon Allones Gigantes side by side when I was asked by a customer what my opinion was on the Hoyo de Monterrey Excalibur Epicure Maduro. I immediately told him that I loved that cigar, and though I hadn’t smoke one in some time it was time to light one up. The cigar for me has always delivered wonderful flavors, nice medium body, and a great affordable price. The cigar did well by Cigar Aficionado in 2007, and I think they are just as great now as they were for the staff at Cigar Aficionado then. Though General Cigars and Altadis are not boutique manufacturers, the fact that they are so large gives them the opportunity to get some great tobacco that smaller manufacturers could never get. The Hoyo de Monterrey is one of the oldest cigar lines in the industry, and is one of the few lines that are made in and outside of Cuba to this day. The Hoyo line began in Cuba in 1865, and was begun by Don José Gener y Batet. He originally came to Cuba from Spain in 1831, and before starting the line worked on the tobacco plantations in Pinar del Rio before starting his own factory in Habana, Cuba. The line quickly became one of the most popular lines in Cuba, and in a short time had the largest factory. Hoyo de Monterrey is translated as “hole of Monterrey”, and refers to the area in which the tobacco for this cigar came from. It was considered one of the best areas. Eventually the company was sold to Fernando Palicio who continued to make the Hoyo line along with the other lines they took on, Belinda and Punch. When the revolution came about in Cuba he sold the line to the Villazon Family, who was making cigars in Tampa, Florida at the time. There they continued to make the line from Honduran tobacco before being bought by another General. The company was run by Frank Llaneza at the time, and continued to be run by him till General Cigars bought them. Eventually the lines production was moved down to Honduras, and now it is made from tobacco from more than just Honduras. My favorite cigar in the non-Cuban Hoyo line is the Excalibur Epicure Maduro. The Epicure measures 5 ¼” and has a 50 ring gauge. The cigar is composed of tobacco from four prominent growing nations, and from some of the best regions in those nations as well I imagine. The cigar begins with a Maduro Connecticut Broadleaf wrapper and binder, and has filler tobacco from the Dominican Republic, Honduras and Nicaragua. The factory in which the cigar is made is the Honduras American Tabaco S. A. in Cofradia, Honduras just outside of Danli. This is the same factory in which all Punch and Sancho Panza cigars are made. The Excalibur Epicure Maduro is truly a classic, and great to look at. The wrapper is a very dark brown, definitely maduro in coloring, and has a great cap to it. There are few veins if any present in the cigar, and it has a wonderful aroma of coffee, cocoa, wood and earth. It is slightly oily and toothy to touch as well. As I light up the Excalibur Epicure Maduro cigar I am immediately greeted by flavors of coffee and cedar. The flavors are easy to pick out, and they stay with you on the long finish. As I get further into the first third I begin to pick up more notes of herbs, spices and rich chocolate. The cigar has a beautiful burn to it, it is perfect, and the ash is a very light gray. The ash is very strong and holding on to the cigar firmly, and it is producing a nice amount of smoke. The flavors are very pleasant and the cigar is a solid medium in body. When I get into the second third the first thing that I notice is that the ash on this cigar is not letting go anytime soon, and I imagine that I will be able to hold on to it till the final third easily. I am still picking up those wonderful flavors of coffee, cedar and chocolate, but the herbal notes have faded some. The spice notes increase some in this third, but the cigar is still a solid medium. The flavors have not changed dramatically so far, but it is just delivering the wonderful flavors consistently, and that is what is most important, it is a solid smoke. I am in the final third of the Excalibur Epicure Maduro now, and that beautiful ash is still there. The burn line on this cigar is still absolutely perfect, and it is producing a nice amount smoke after each draw. The flavors are fairly similar to that of the second third, and it is very enjoyable. The cigar is rich in cocoa, spice and coffee notes, and it makes the cigar perfect for me anytime of the day. The Excalibur Epicure Maduro is a cigar that is great to give to any smoker, and is a great everyday cigar. The cigar still has a spicy wood finish, and when I put the cigar down it was still smoking cool and wonderful. Some might not have great things to say about this cigar because it is made by General, and because it is a cigar that is easily accessible and not boutique, but that is just silly. This is a cigar that always delivers, and never bores. It is not overly complex in the flavor department, but the flavors it does have are wonderful throughout and never dull. With flavors being consistent throughout the cigar has to be bunched just perfectly, and this cigar was. You could never go wrong with this cigar, and even though I do not smoke them often or have them in my humidor it does not mean it is bad. This is a cigar that every retailer should carry, and it will move. All the shops I recommend carry these smokes, and there is a reason for that. This is a consistent cigar aimed for every smoker. If I were to buy one cigar from General Cigars this Excalibur Epicure Maduro would be it, and following this it would be the Punch Uppercut. A 90 rated cigar that will always deliver. The Excalibur Epicure Maduro is a great cigar to share with your friends who are big time smokers, and a cigar that is great for newcomers as well. Thanks for a super review Seth! With its new Platinum Series, Montecristo, long considered the international brand by which all other premiums are measured, sets new standards for luxury cigars. Crafted with selected San Andres Cubano wrapper (grown in the legendary San Andres Valley), along with a rich, Dominican binder and a special vintage blend of Nicaraguan, Peruvian and Dominican long filler tobaccos, the exquisite Montecristo Platinum cigars offer the connoisseur a rich, sensual smoking experience without equal. 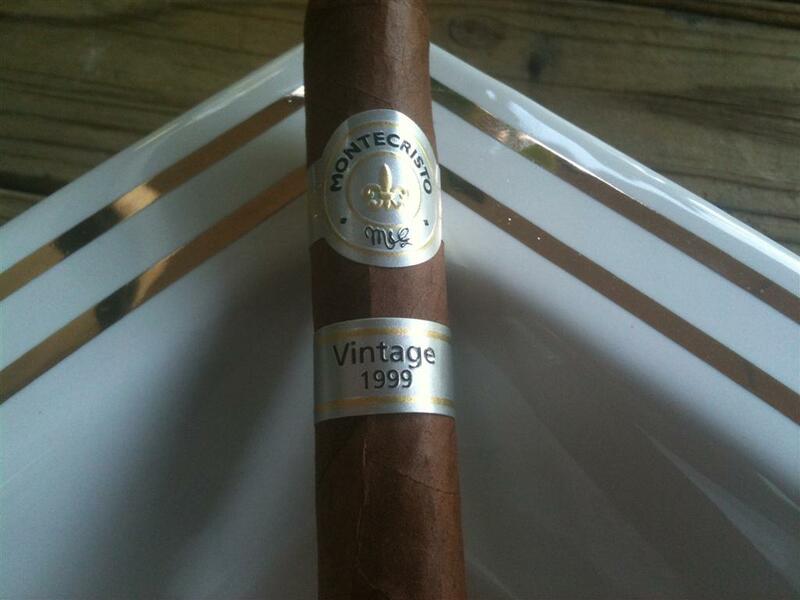 The Montecristo Platinum Churchill Tube cigars were named #22 on Cigar Aficionado's Best 25 Cigars of 2010 List! The Montecristo Platinum cigars allows cigar lovers to indulge in a richer and bolder smoke that some of the traditional Montecristo blends don't offer. The solid blend of binder and filler give the Montecristo Platinum its earthy core and the wrapper gives it a pleasant and mellow special woody spice. The Mexican wrappers of the Montecristo Platinum cigars are smooth with an oily sheen and feel to them. Expect a medium-to-full-bodied intensity with the cocoa, woody and earthy flavors increasing as you smoke it, ending in a peppery note. 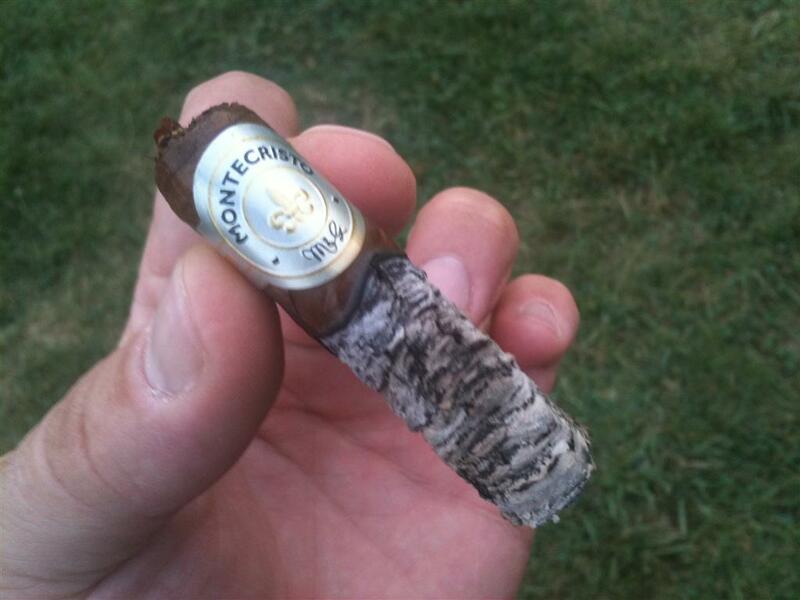 The Montecristo Platinum give off a fair amount of smoke, burn evenly and have a smooth draw. The flavors never overpower your palate, which makes this cigar an incredible smoke that will perform famously each time you light one up. RATED 92 BY CIGAR AFICIONADO AND #22 ON THEIR BEST 25 CIGARS OF 2010 LIST! The Montecristo Platinum cigars are available online at MyDiscountCigar.com. To read more about the Montecristo Platinum series cigars please visit AltadisUSA.com. 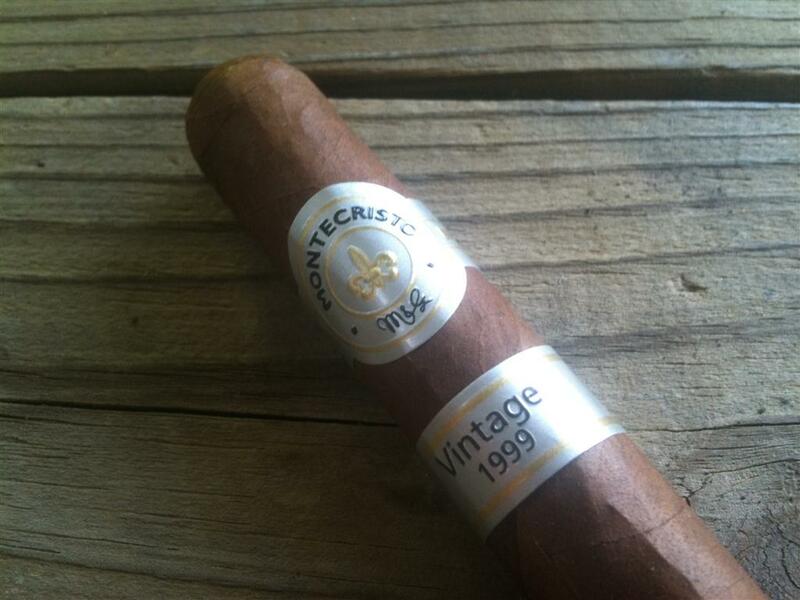 The Dominican based Montecristo Brand has been real hit and miss for me. I hated the Edmundos (had burn problems, tunnels and they smelled like cheese), the White labels are always way too tight for me to enjoy and the Brown label is typically a bit tight as well although tasty when it’s on. Tack on the price and time and again I choose against these cigars at the B&M knowing that I am in for a unpredictable experience at best, should I select one. They just never seem to kick out the volume I desire although they do burn very slow. Personally, I want thick voluminous clouds of smoke and could care less how fast it burns as long as it burns well and delivers the goods. Brown and Platinum) all in the #3 aka Corona size. I figured if they can’t get the Corona right then they can’t get anything right and I am done with them for good. After smoking the White and Brown label….I am pretty much done with them. Will the Montecristo Platinum No. 3 possibly be able to redeem the Montecristo name? Altadis better hope so if they ever want to see a dime out of me again as I typically tend to stick more with the boutique blenders anyway. As I unwrap and look over the Montecristo Platinum #3 cigar it looks and feels pretty good. Thank goodness it isn’t rock hard as it’s predecessors were and I imagine it should perform pretty well. There is a sweet and savory cocoa on the wrapper with just a hint of barnyard and wood. It sure smells delectable. Speaking of the wrapper, its visual quality is pretty decent. The cap is well placed and it definitely feels much better packed that most of the MC’s I have smoked to date. The prelight draw is open with some dried fruit and sweetness. The Montecristo Platinum No 3 cigar starts off very smooth with a good medium body and a solid core of flavor. There are detectable hints of sweetness mixed with a touch of dried fruit and leather. A nip of pepper through the nose and a little more on the finish is making me good and satisfied already. There is a sweet creaminess to the smoke as it coats the palate up front and then a slight but present spicy tingle on the finish. Rinse and repeat as necessary….. It doesn’t take long at all before the body starts increasing. Entering the second 3rd this is certainly heading in the direction of full bodied and if it keeps increasing as it has been it should make it there by the half. The flavor of the Montecristo Platinum No. 3 contiues to wow me with a unique and satisfying profile. Perhaps I finally found the Monte that is right for me. Construction hasn’t even been on my mind since so far this cigar has been a sipping mans dream. 1 puff is all it takes to glean a good volume of smoke. The burn has been perfect and I couldn’t be happier. There is some good strength to the smoke as I approach the 1/2 of the Montecristo Platinum No. 3 cigar. It isn’t wildly complex or anything but what is there is being delivered in spades and the uniqueness is keeping it more than interesting to me. It is similar to the Brown Label but I have yet to get a brown label that smoked anywhere near as good as this. I love the sweetness in the flavor and aroma. I really dig the background nuances of wood, cocoa, and leather. A tiny touch of jasmine flits in and out on the retrohale. Above all else the solid body without a ton of acidity, the excellent finish and the ultimate smoothness of this cigar is really what keeps jumping out at me and smacking me down with enjoyment. The final 3rd of the Montecristo Platinum #3 is a crescendo of flavor, body and strength. Everything is climaxing nicely and I am starting to get a nice nicotine fix. Smooth waves of creamy cocoa coat my palate and then more smoothness on the retrohale featuring wood, jasmine and pepper. Performance has remained perfect and this is one that will go down to the nub. Thank you for such an honest and candid review, My Cigar Reviews!! !